It’s me again (quelle surprise!!!!) broadcasting from Lausanne where things are gettin’ chilly. I’m talking leggings-under-your-tights-under-your-jeans type stuff, at least for me. (When it comes to the cold, I wimp out faster than a Chihuahua who accidentally found himself on an elite dog mushers team delivering milk in rural Alaska.) However, the one good thing about cold weather is the opportunity to craft yummy and delicious things in the kitchen, which also provides an excuse to stay indoors. 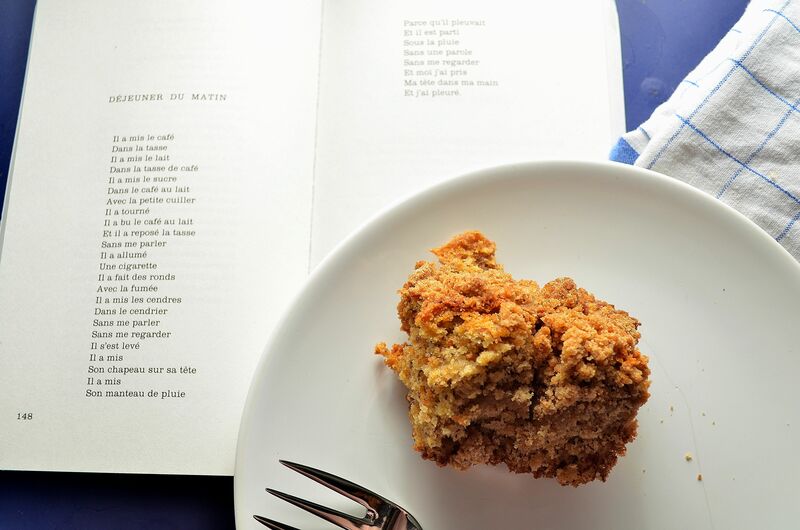 Take this banana streusel coffee cake for example: good enough for breakfast…..dessert….. all the time. 24/7. 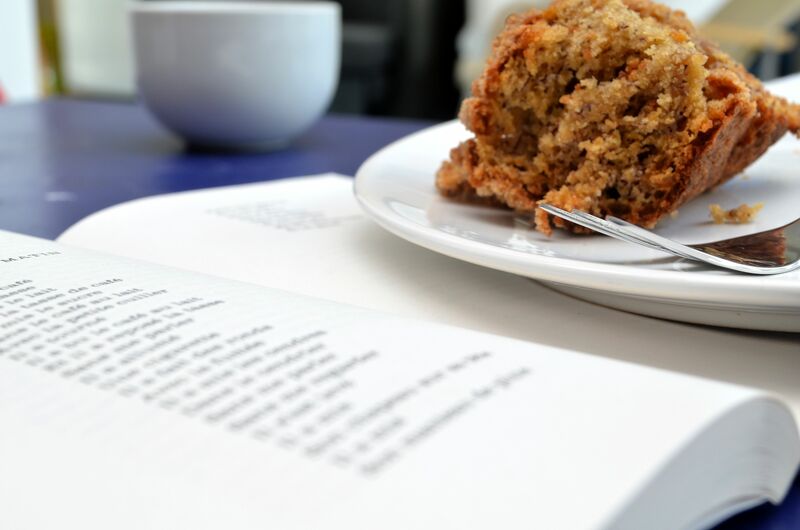 Infinite coffee cake. 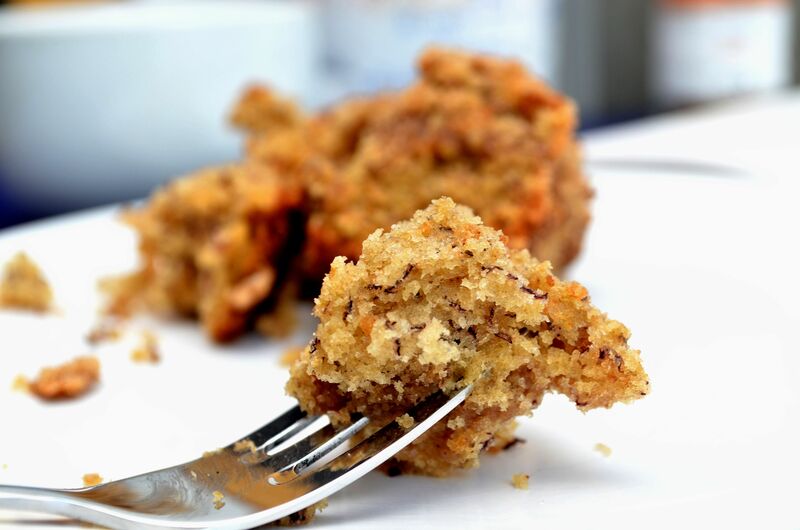 To spice things up a bit, you could replace the 3 mashed bananas in this recipe with anything else of a similar density or texture for an entirely new cake. Pumpkin purée, sour cream, chocolate pudding- the choice is yours!!! 1. Preheat an oven to 350°F (around 180°C) and grease a medium sized loaf pan or 9 inch cake pan. 2. For the streusel, combine the flour, brown sugar, cinnamon and salt in a medium bowl. Cut the butter into the dry ingredients until the mixture looks like coarse crumbs. Set aside. 3. For the cake, whisk the flour, baking powder, baking soda, cinnamon and salt in a medium bowl and set aside. In a separate bowl, beat together the butter and sugars until well combined. Beat in the eggs, one at a time, and add the bananas. Mix until just combined and slowly add in the flour mixture. 4. Spread half of the batter in the prepared pan and sprinkle half of the streusel over the batter. Top with the rest of the batter and remaining streusel. Bake until a toothpick inserted into the center of the cake comes out clean, about 30-40 minutes. Allow cake to cool for a few minutes on a wire rack and serve!